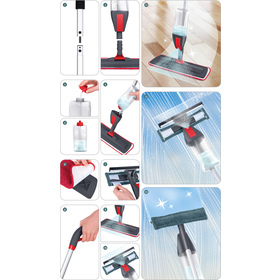 Flat mop with a spray tank and a replaceable double squeegee. 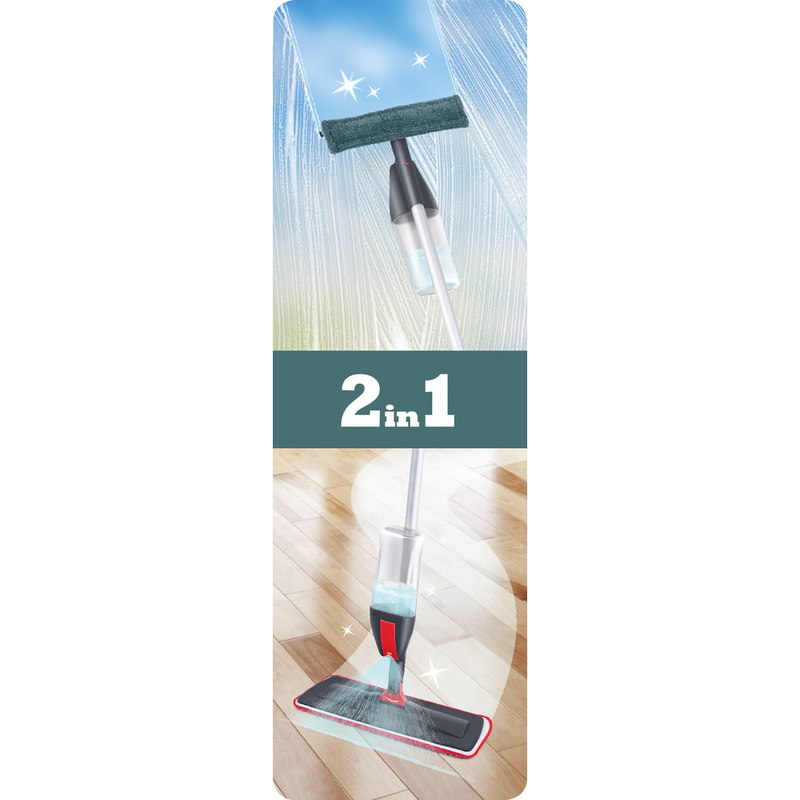 Flat mop on a swivel joint mount with dimensions 43 x 14.5 cm made from washable microfibre with a velcro zip lock. Tank with 600 ml cleaning agent capacity. Replaceable double squeegee with dimensions 38.5 x 11.5 cm, washable part from microfibres for a thorough clean with an additional squeegee for a perfect wipe. 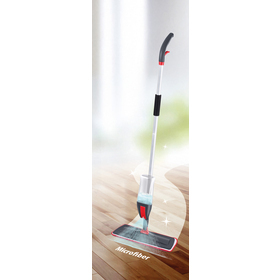 Two-part pole measuring 120 cm.